Black women know better than anyone how to hold anger in our chests. We fold up rage into bite-size pieces and tuck madness away in our back pockets. Our tongues often bleed from biting them so hard. It is a wonder that we don’t develop wrinkles from forcing smiles by age twenty-five. When we occupy predominantly white spaces we don’t have the privilege of being angry. We draft tweets that we know will never see the light of day. We have friends proofread emails before sending them off to supervisors. We are like water pitchers perpetually filled to the brim with anger. But we are not allowed to overflow. My white friends wonder how I do it. How I hold my tongue so well when I want to curse, how I squeeze my hands so hard when I want to fight. They scratch their chins and bend their necks in complete awe of my “resilience.” One friend finally mustered the courage to ask me, “Why aren’t you angrier?” It didn’t take me very long to come up with my answer: I can’t be. Black women don’t get to wear titles like “nasty woman” and “angry feminist” as accessories. They don’t look good on us. They simply amplify the connotation of aggression linked to our very existence. We are perceived as “belligerent,” “loud,” “intimidating.” We cannot roll our eyes, fold our arms, tap our feet, purse our lips without being handcuffed to stereotypes. We must survive this world like everyone else. From a young age we are taught that we have to work harder than everyone else, only to get half as far. We learn to perfect our “Yes, pleases” and “No, thank yous.” We tip-toe in the classroom, duck our heads in the workplace. No one knows the chains of assimilation like we do. Black women can’t afford to be angry. We can’t pop-off in business meetings when there are bills to pay and mouths to feed. We can’t argue professors down when our education is on the line. The system is set up to keep us silent and compliant. They want us to slick down our edges and lower our voices so as to keep them comfortable—but keep us visible enough for inclusivity’s sake. They tokenize and exploit us, but ever keep their hands clasped over our lips. Even then they expect us to smile underneath their fingers. It is no wonder why they try to keep us silent. They are afraid of us. The anger of the black woman is undeniably dangerous. It is radical by nature. Black women hold an unexplainable kind of force. When we are angry we carry with us the spirits of Sojourner Truth, Rosa Parks, Marsha P. Johnson, and all the black women before us who were brave enough to be mad. We exert our humanity with an unwavering boldness. We choose to speak in the moments when temptations of compliance beckon us to silence. Black women are always willing to throw the first brick, because we have nothing to lose. While others use infinitives to describe the atrocities of the current age, we throw our heads back with laughter. We’ve seen the worst, and this isn’t it. Now more than ever the world needs angry black women. We need the spirit of the black mother who waltzes through the door of the principal’s office in a headscarf, or the black auntie who yells at someone else’s kids in the supermarket. Our anger isn’t cute—it’s effectiveness doesn’t require a certain aesthetic quality. Because when black women get angry, justice always ensues. We say “no” and turn over legislation. We yell and our voices are heard. 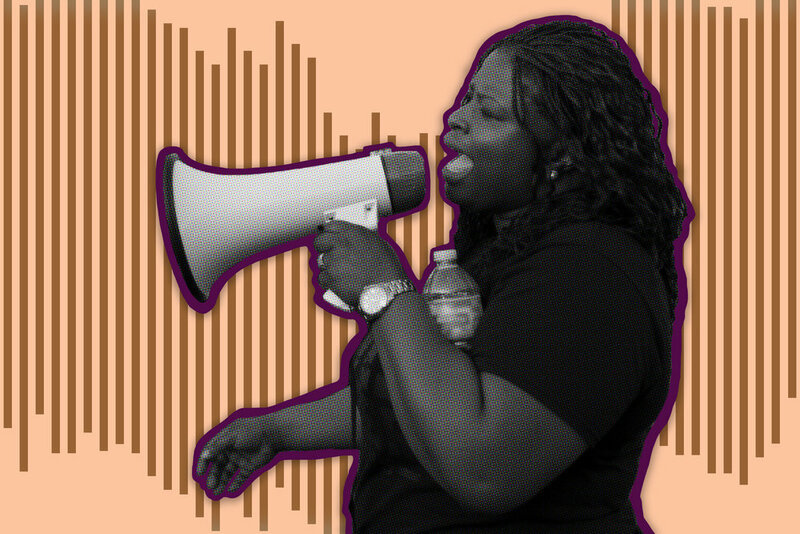 For black women, anger has always been about more than just ourselves. We are angry for our sisters, our brothers, our sons and daughters—we are angry for humanity. Still, it takes extreme courage for black women to exert anger in the spaces where it is most needed. For us, the act of expressing rage always comes with a cost. Sometimes it’s better to stay silent—to comply with the system, rather than rebel against it. Sometimes silence is a survival mechanism. For many it is a means of keeping food on the table, for some it is a means for simply staying alive. There is grace for the black woman whose mouth is continually shut by White hands. She is not alone. None of us are. Black women have been lifting each other up since the dawn of time and will continue to do so. Such is our existence. Our bond is untouchable, it cannot be broken. It would be remiss to say that black women who choose not to express their anger are somehow weaker than those who do. Black women are born into the world with resilience intertwined in their kinks and curls. Strength isn’t something we choose, it is a virtue we simply exude. Even if we can’t post the risky tweet or speak up in the classroom or curse at the police officer, we still hold inside of us the inexplicable strength passed down by our grandmothers. We are forces of nature, simply for walking the Earth. Our very existence speaks to our power.